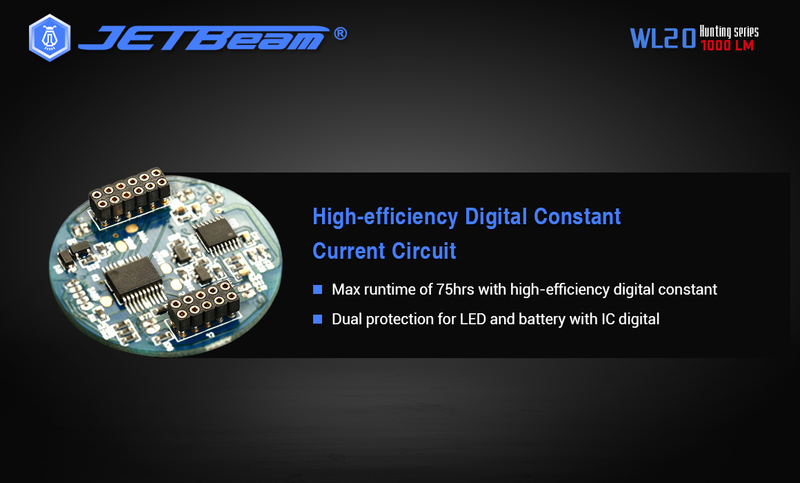 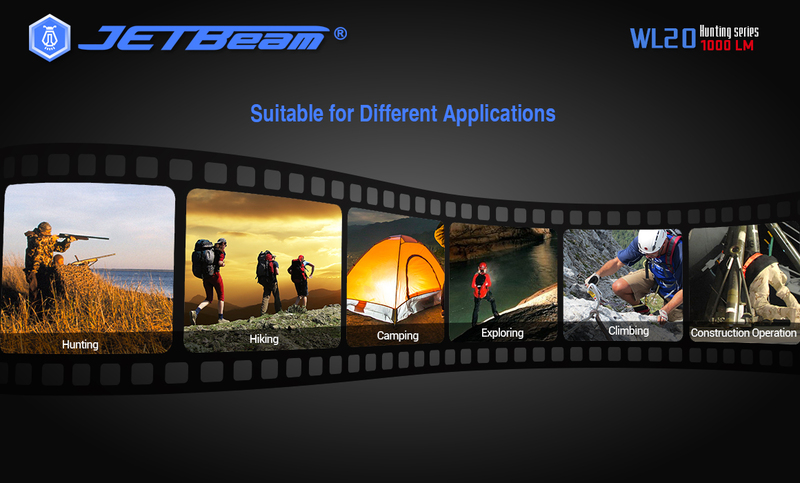 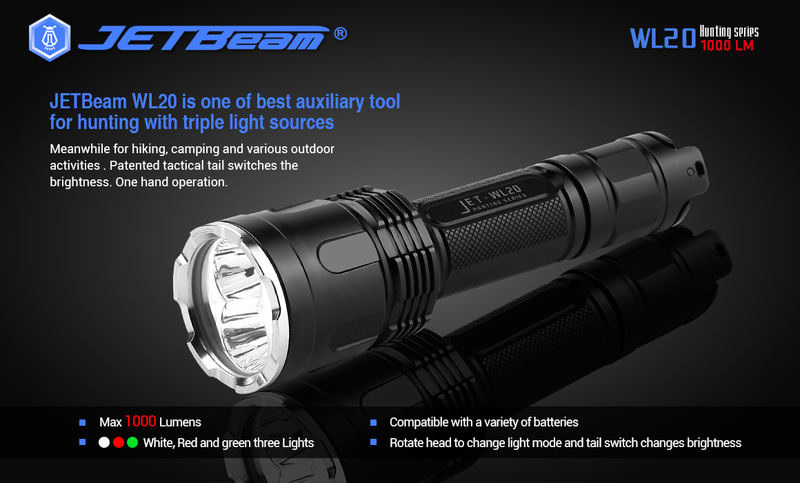 WL20_Products Center-JETBeam Electronic Technology Co.Ltd. 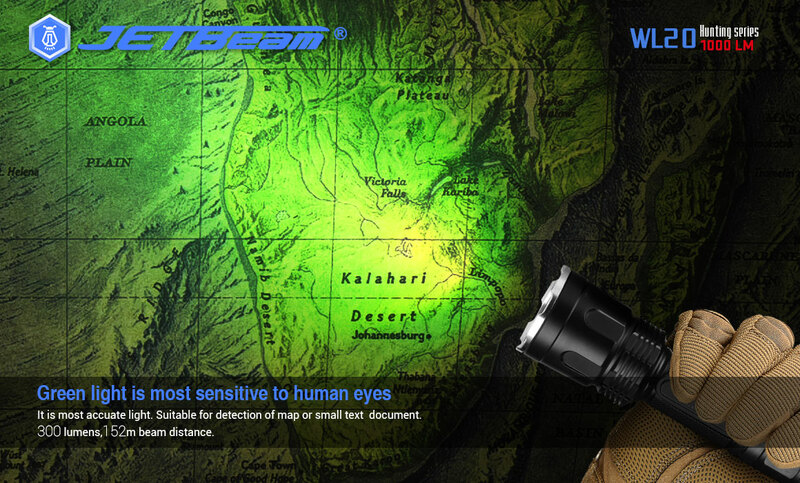 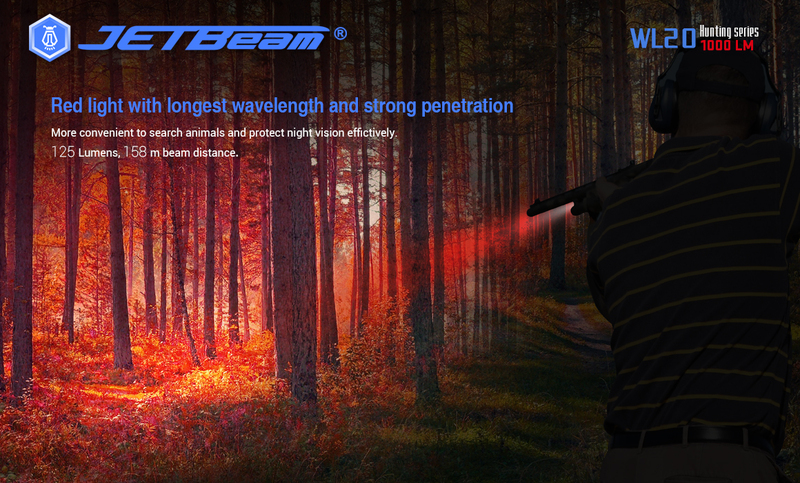 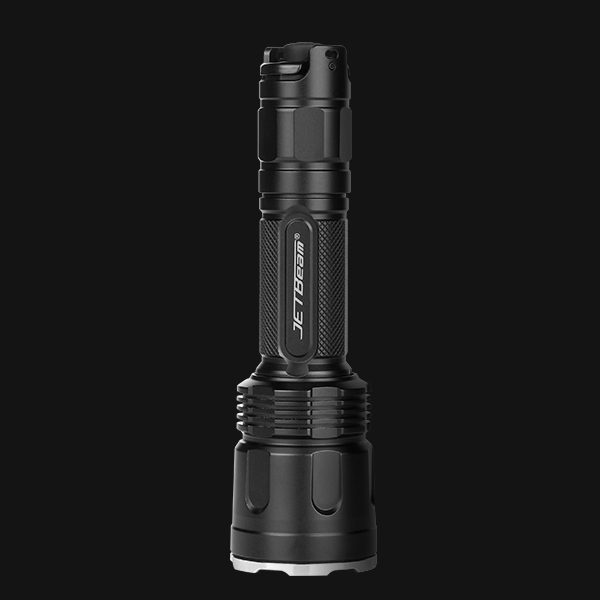 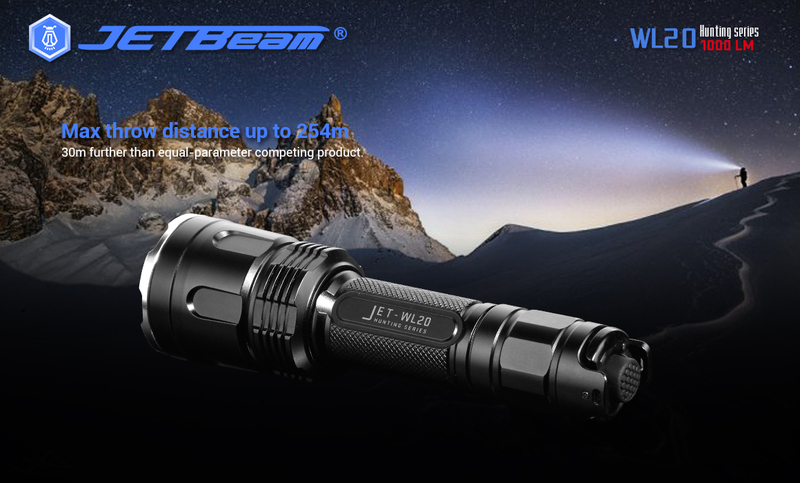 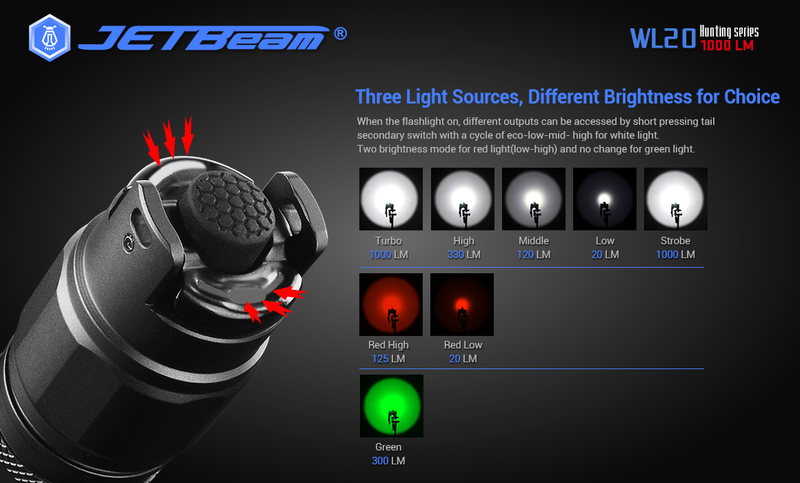 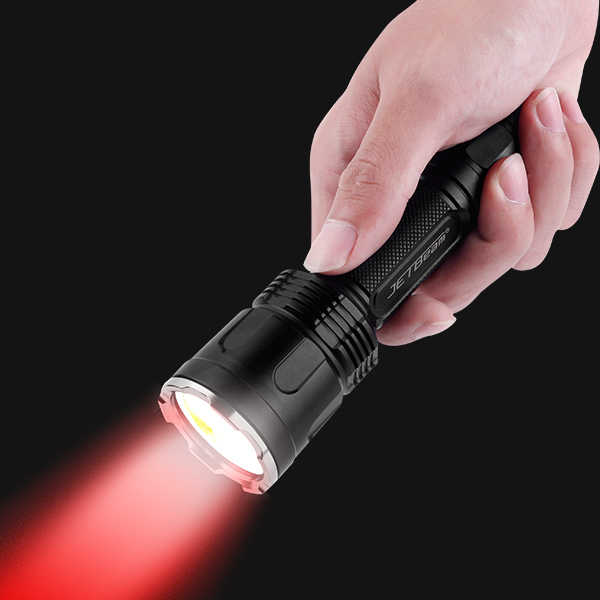 l Specially designed for hunting and also for climbing, camping and general outdoor activities with triple light sources. 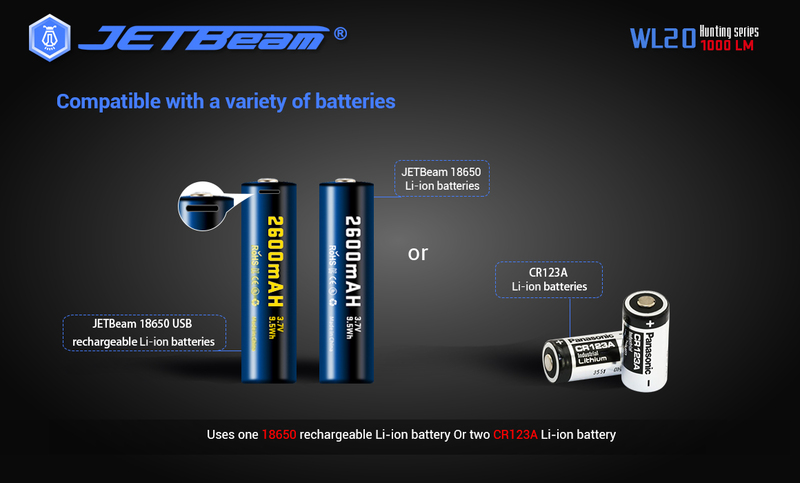 l Powered by 1*18650 rechargeable Li-ion battery and compatible 2*CR123A. 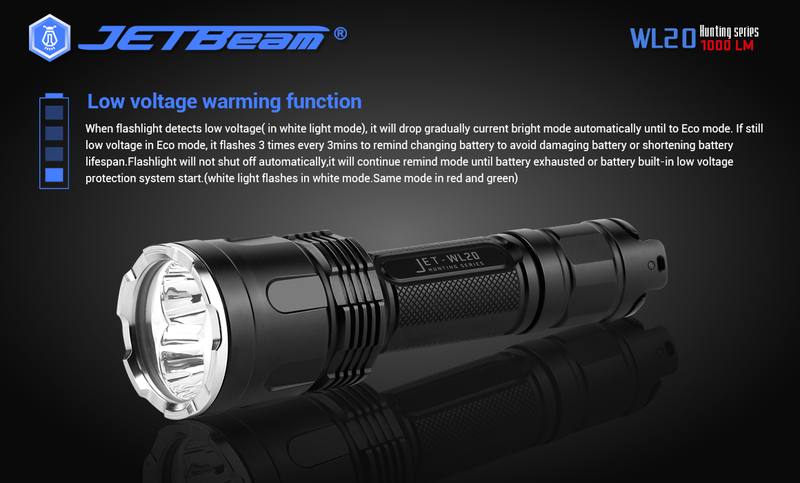 Compatible with regular 18650 battery, no limit on battery. 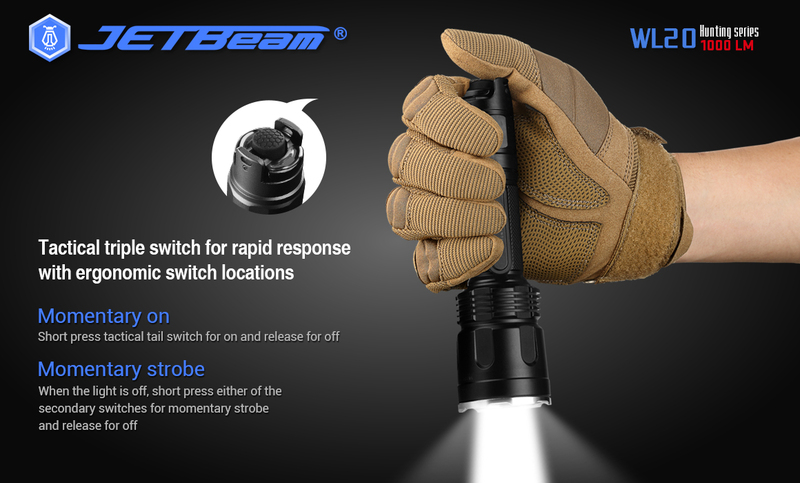 l Patented triple tail switch technology allowing for momentary-on, strobe and easy access to all outputs by one hand operation. 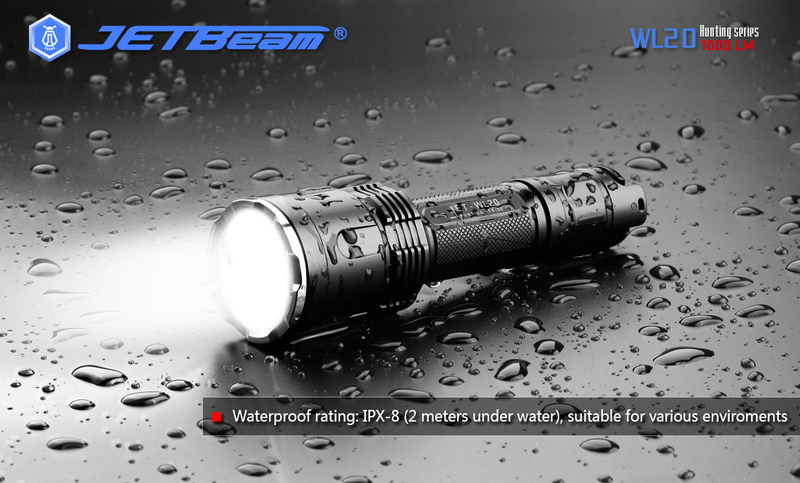 l Low temperature resistance of -20℃. 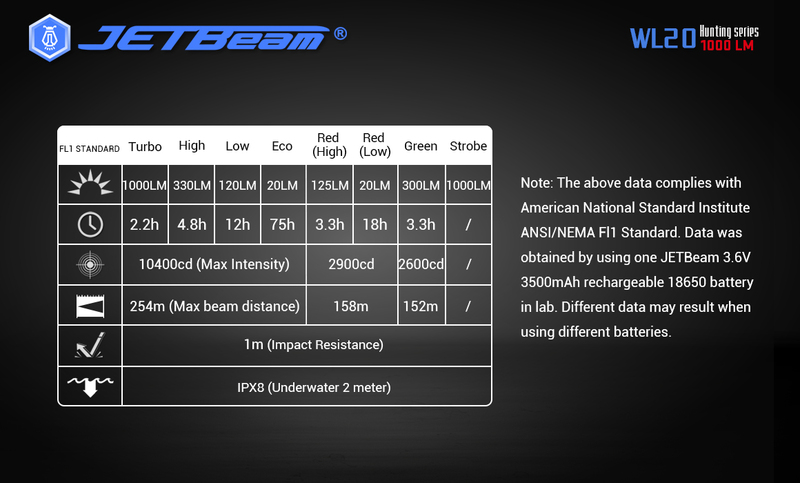 l Impact resistance of 1m. 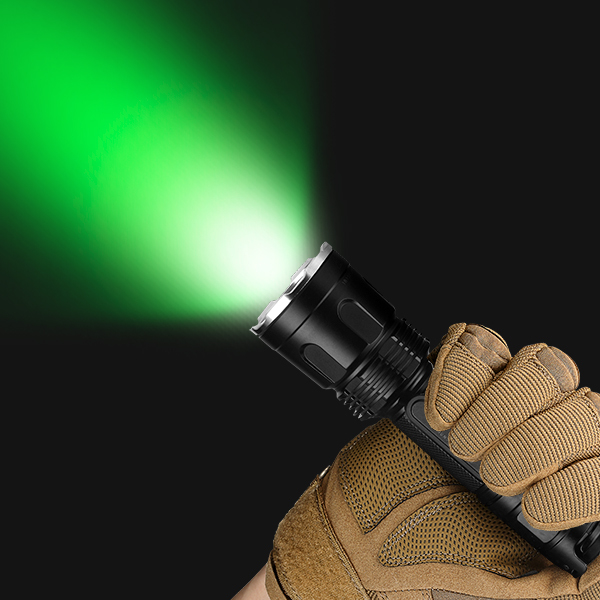 l Military grade HAIII hard-anodized finish. 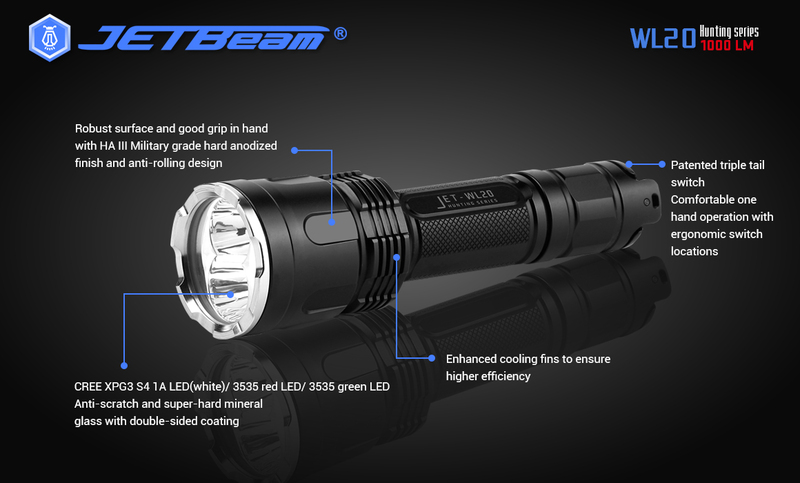 l Anti-rolling design and cooling fins ensure efficient and speed heat dissipation in all directions. 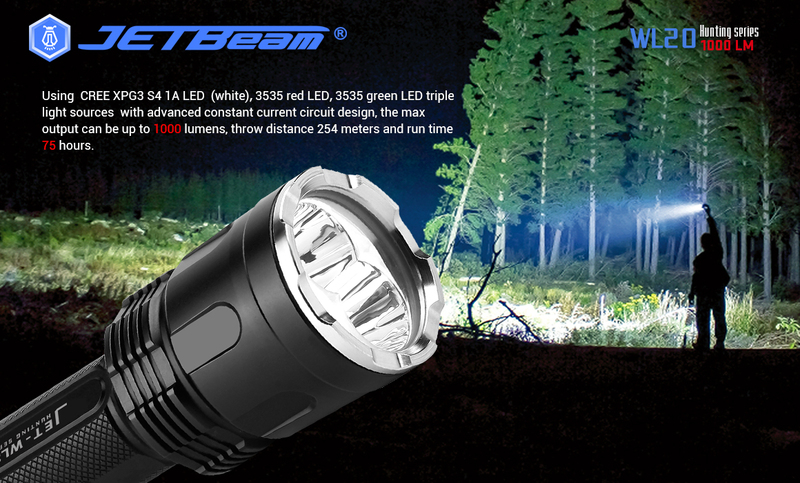 LED: CREE XPG3 S4 1A LED, 3535 RED LED, 3535 GREEN LED. 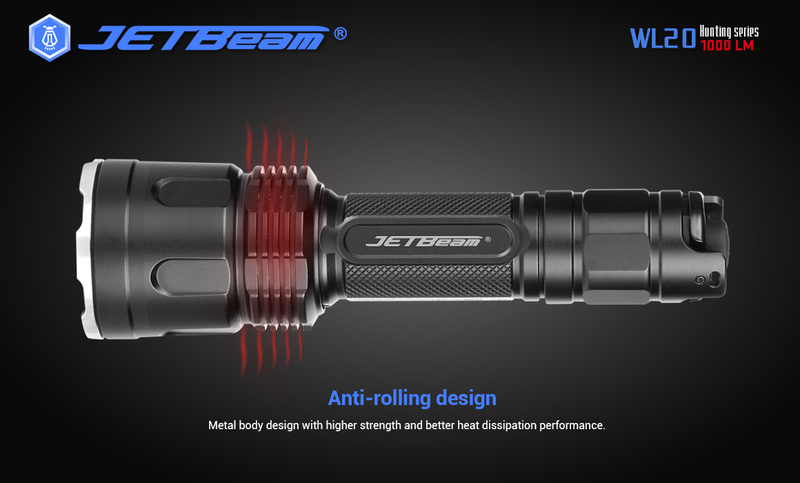 Material of body: Aero grad aluminum alloy with hard anodized finished. 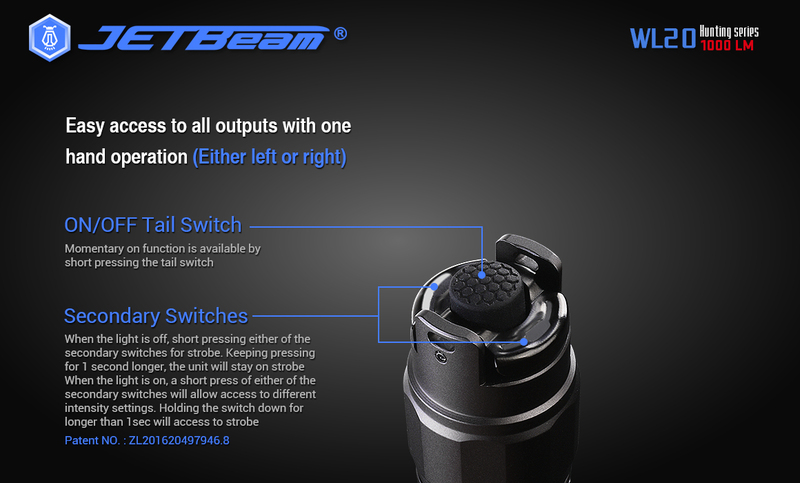 Switch:360°full angel tactical tail switch. 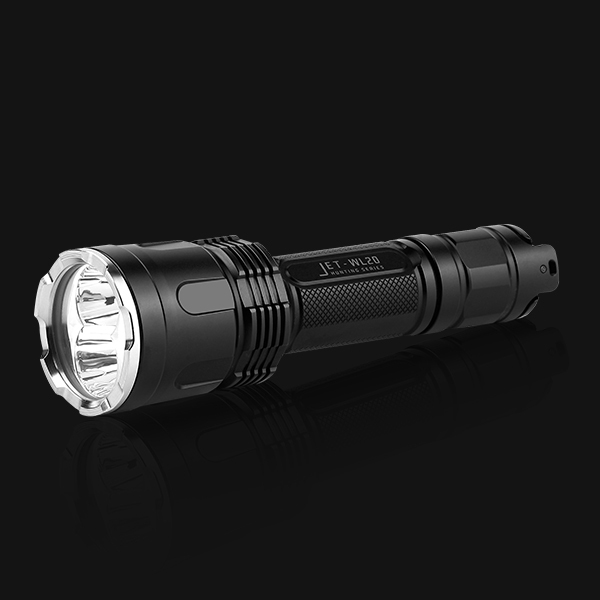 Included for free: O ring*2, rubber cap, lanyard, holster, 2600 mAh rechargeable 18650 battery. 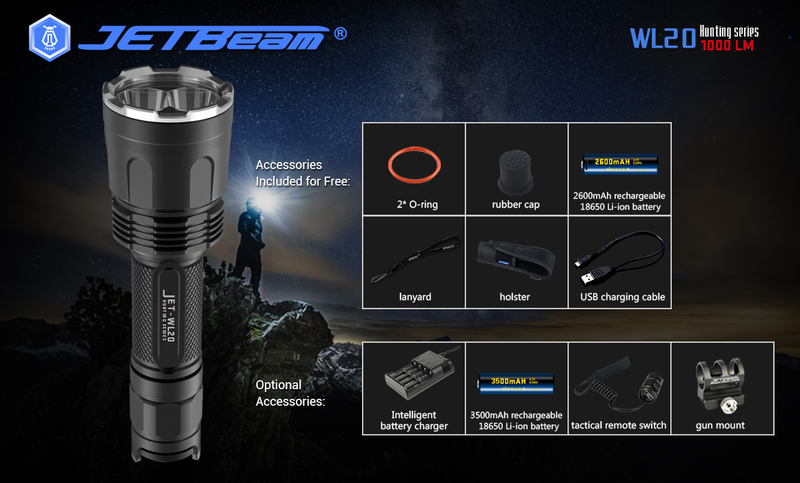 Optional Accessories: Intelligent battery charger, tactical remote switch,3500mAh high 18650 battery. 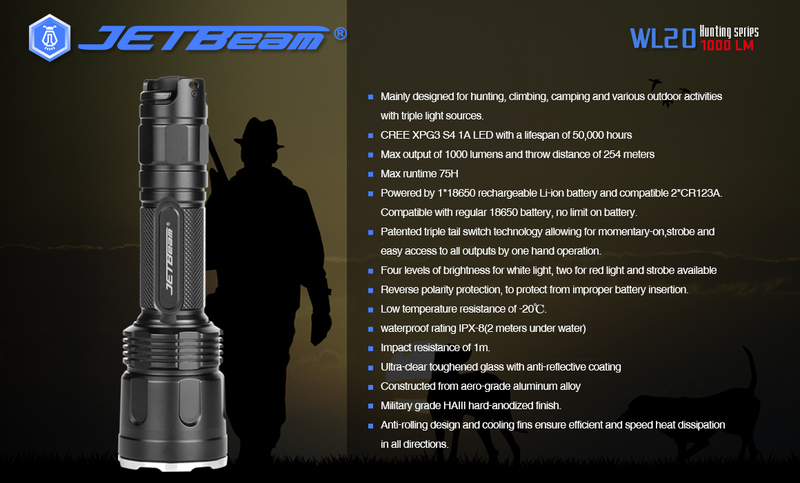 Optional Accessories: Intelligent battery charger, Gun Mount, tactical remote switch,3500mAh high 18650 battery.